SMS Long Codes are 10-digit phone numbers that are enabled to send and receive SMS and MMS messages. 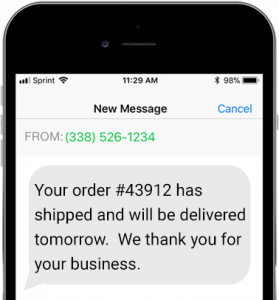 Long Codes enable businesses to have their own dedicated phone number to send and receive SMS text messages without the high costs and wait times associated with getting a short code. Long Codes also have the advantage of being able to work internationally. 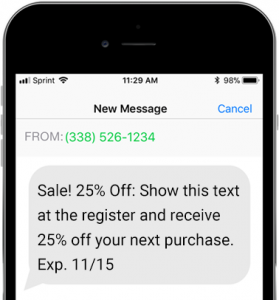 Use our long codes to send marketing messages to your customers. Long Codes enable you to send messages with or without keywords for your campaigns. Our platform enables you to use multiple long codes for your account ensuring your messages get sent out and delivered within seconds. 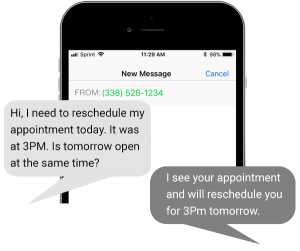 Use long codes to send transactional messages such as alert, reminders and notifications to your customers, employees and users. Communicate more efficiently with Mission Mobile’s long code services. Long codes for 2 way chat can be used by customer service, contact centers, sales departments and more.